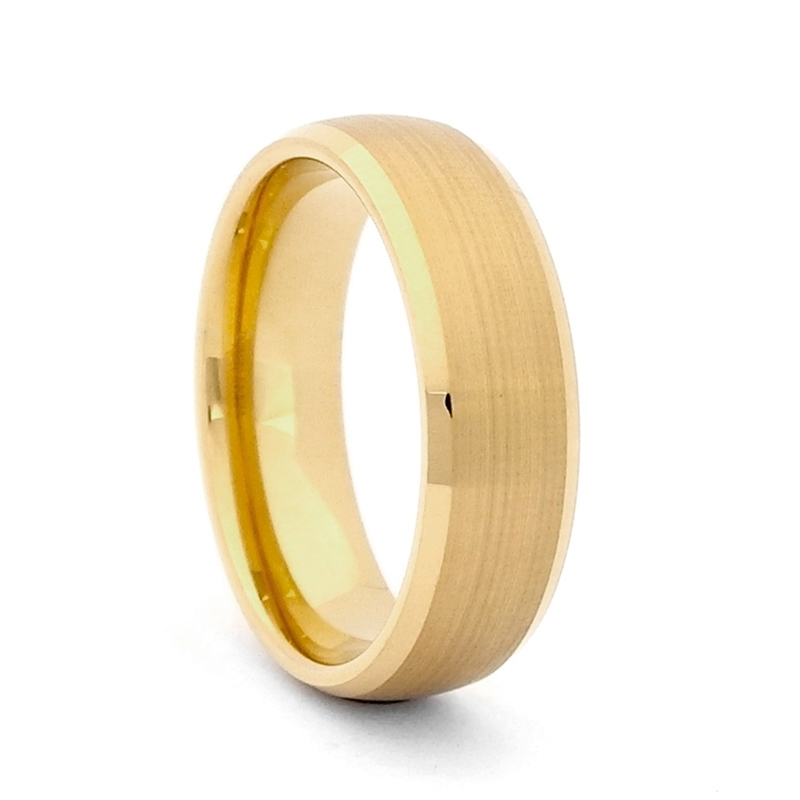 This beautiful tungsten carbide wedding ring with satin finish and high polish edges is plated with yellow PVD. PVD plating ensures that gold color of the ring last as long as the ring itself. Everlasting design combined with high quality materials and finishing techniques is an excellent option to classic gold wedding band. Match it with SR62 for His & Her set.